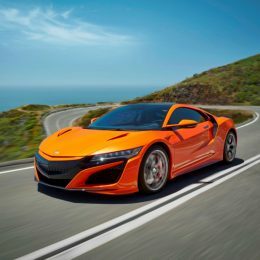 Honda has announced a range of enhancements for the 2019 NSX, which will make the ground-breaking hybrid supercar even more pleasurable to live with day-to-day, and even more exciting to drive on track. The focus has been to enhance the exceptional dynamics of the car while maintaining its outstanding everyday usability. 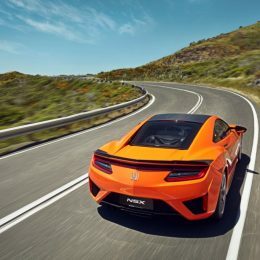 Honda has equipped the 2019 NSX with larger front and rear stabiliser bars, which increase stiffness by 26 percent at the front and 19 percent at the rear. The rear hubs and control-arm toe link bushings are also stiffer, further boosting responsiveness through the chassis. The unrivalled structural rigidity of the Honda NSX delivers an ideal platform on which to finely hone suspension and steering settings. Beyond the hardware upgrades for 2019 Honda has also recalibrated the software controlling its Sport Hybrid SH-AWD® power unit, electric power steering, Vehicle Stability Assist system and the active magnetorheological dampers. The dampers now provide a ride and response that is even more comfortable in the NSX’s softest setting, while maintaining the stiffer set-up for higher speeds and on-track driving. In combination with the revisions to the NSX’s chassis hardware and software, the 2019 NSX will be fitted as standard with the Continental SportContactTM 6 high-performance tyre. Developed exclusively for NSX, they provide improved dynamic response and feedback during braking, cornering and acceleration – on both dry and wet roads. Honda has made these changes to deliver a more responsive experience for the driver, as well as to provide greater stability and throttle-modulated controllability during on-the-limit track sessions. As an indicator of the improvements, the 2019 NSX is two seconds faster than the current model around the world-famous Suzuka circuit. 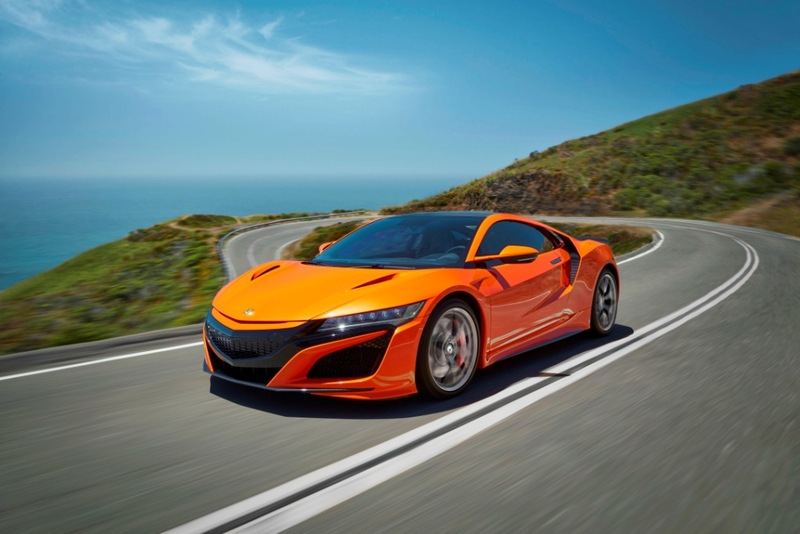 Powertrain updates for the 2019 model-year include upgraded injectors, enhancement to the heat response of the turbocharger, and a new particulate filter to ensure that the NSX complies with the Euro 6d-TEMP emissions standards while maintaining its high level of performance. Exterior upgrades are also part of the 2019 NSX revisions. The car can be specified in a new Thermal Orange Pearlescent paint colour, with the additional choice of orange calipers for the optional carbon-ceramic brake discs. The chrome finish of the upper front grille surround is now colour-matched to the bodywork, while a new gloss-black finish is applied to the mesh in the front and rear bumpers. Inside, buyers now have the added choice of full red leather for the upholstery, or a new Indigo Blue trim if opting for the Alcantara® and leather trim combination.